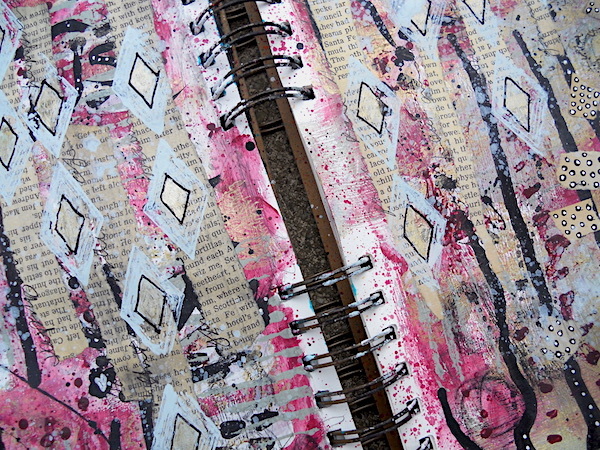 Hi everyone, it's Alison/Craftytrog with you today, and I'd like to share with you an abstract art journal page. But I also made some art prompt cards, as I sometimes need a little help to get started on a page. I love the randomness of using these cards, it's exciting to turn over each card, not knowing what's coming next! So I'm first going to show you how I made my cards. 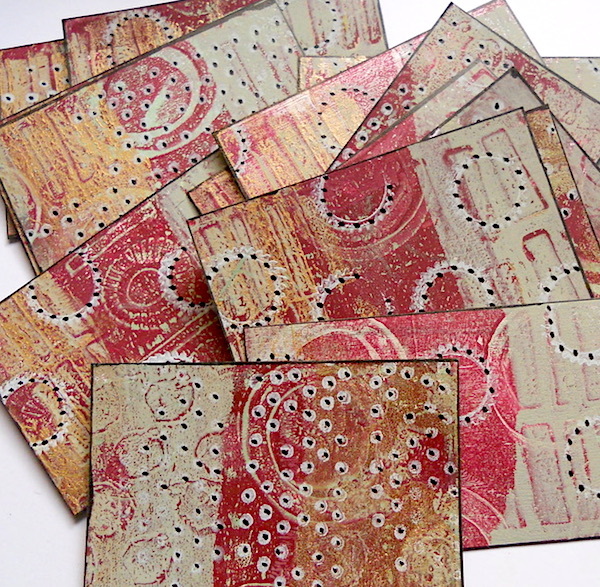 I used my favourite art tool, the Gelli Plate, and some wonderful Ellen Vargo Eclectica Stamps! I began by picking out the paints to use. Naturally, the Fresco Finish Acrylic Paints I chose were Claret, Gold, Sage and Hint Of Mint. Using White Heavyweight Smoothy card, my cards were cut to ATC size, and I first used my Gelli Plate to base coat them with Sage. 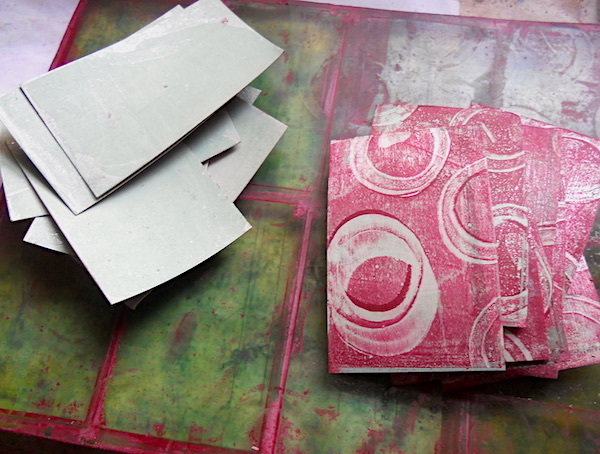 Next I brayered a layer of Claret on the plate, stamped a pattern in the paint with the hollow circle from Ellen Vargo Eclectica Stamp Set EEV03, then took prints with the cards. I printed the reverse of the cards in the same way, using another stamp from EEV03. 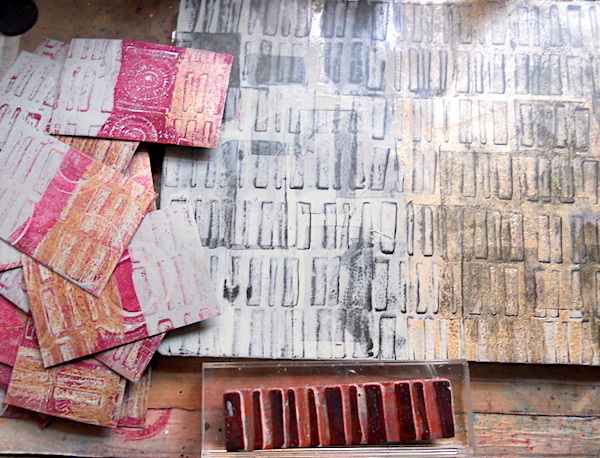 The 8x10 inch Gelli Plate was large enough to place all 12 of my cards down to print...very handy! 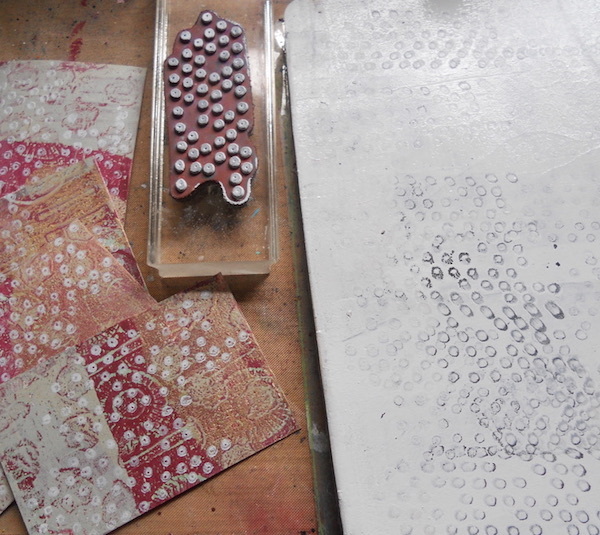 But you can easily use a smaller Gelli Plate, it will just take a little longer. For the next layer, I brayered Sage Fresco Finish Acrylic on the left of the Gelli Plate, and Gold Fresco Finish Acrylic on the right. Using the strip of lines stamp from EEV03, I stamped a design horizontally across the paint, so mixing the colours a little. Then, I took partial prints on the edges of the cards, Sage on one side, and Gold on the other. I love this effect! I did the same on the other side of the cards, using the small bubblewrap stamp from EEV06. 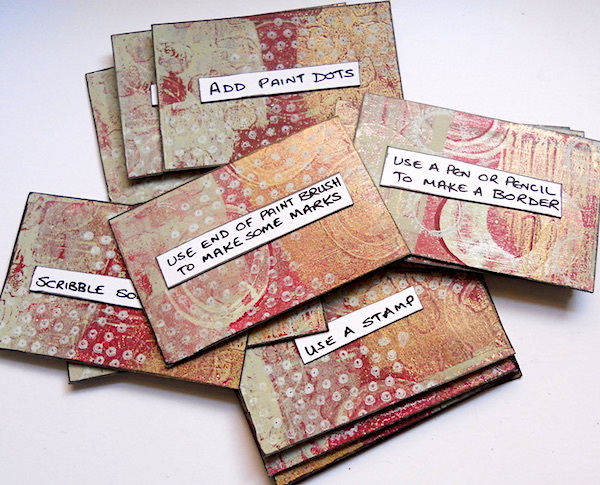 For my top paint layer, I brayered Hint Of Mint Fresco Finish Acrylic onto my Gelli Plate, but instead of taking prints, I used it as a palette to add paint to the dotty stamp from EEV06, then stamped it on one side of the cards. I used the serrated circle stamp from EEV06 to stamp on the other side of the cards. Next, I added some black doodle dots to one side of the cards with a Posca Paint Pen, edged the cards with black ink, before adding my hand-written prompts to the other side. And finally, using the prompt cards, here is my journal spread. After I'd followed all the card prompts, I carried on doing my own thing until I decided it was finished. I love this colour palette! The Gold Fresco Finish Acrylic looks amazing! I hope I've inspired you to make your own set of prompt cards. I find them a really useful tool for abstract art journaling, but you could use them for canvases and cards too. I don't always use all of the cards, sometimes just 4 or 5 are all that are needed to get my creativity flowing when faced with a blank page. 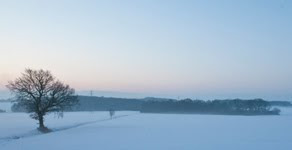 Have fun, and I look forward to seeing your projects for this challenge. 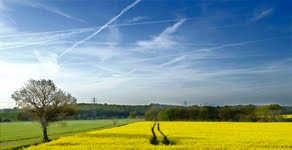 Simply make something arty relevant to the topic, and link your creation from any social URL (eg. Instagram, Pinterest, Blog Post etc) sharing your original make to this challenge page. The current topic link Topic 13: Mint, Sage, Claret, Gold will close 17:00 (London Time) Sunday, August 12th 2018, and the winner will be announced 2 hours later at 19:00. 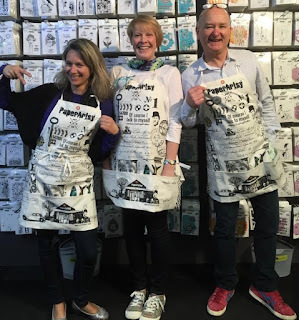 All links go in the draw to win a PaperArtsy creative apron. Please make sure we can contact you as a prize winner - it helps if you share your contact info from the platform you opt to use. Good Luck! If you have any questions, don't hesitate to ask! 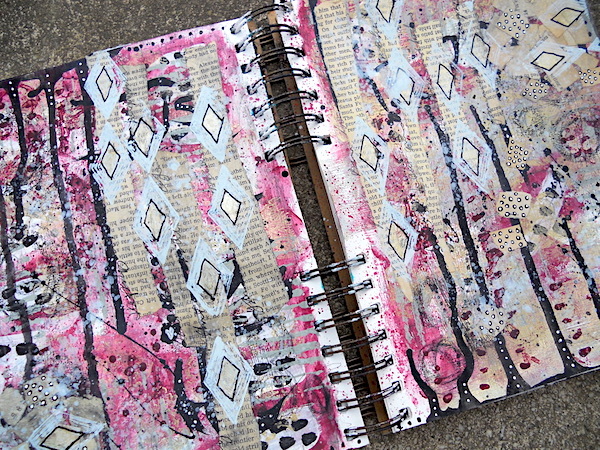 the idea of the prompts is a great one, and the finished journal page looks fabulous! Your masterboard is absolutely fabulous - love the shimmer of the gold - and the art prompts are such a great idea. Wonderful inspiration! Oh wow Alison, your prompt cards are stunning! 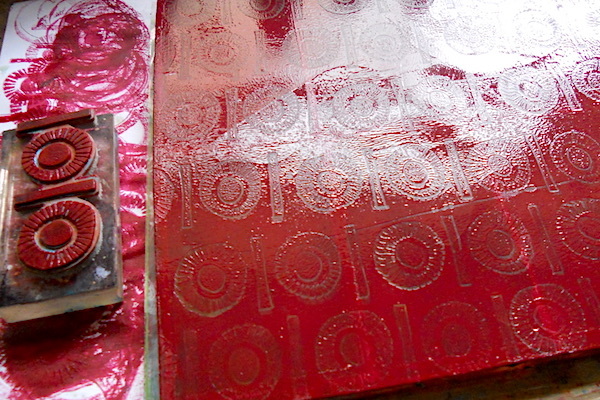 You made me want to rush out and buy a gelli plate, and try to create them. Love the colours and your layers and patterns are just wonderful. 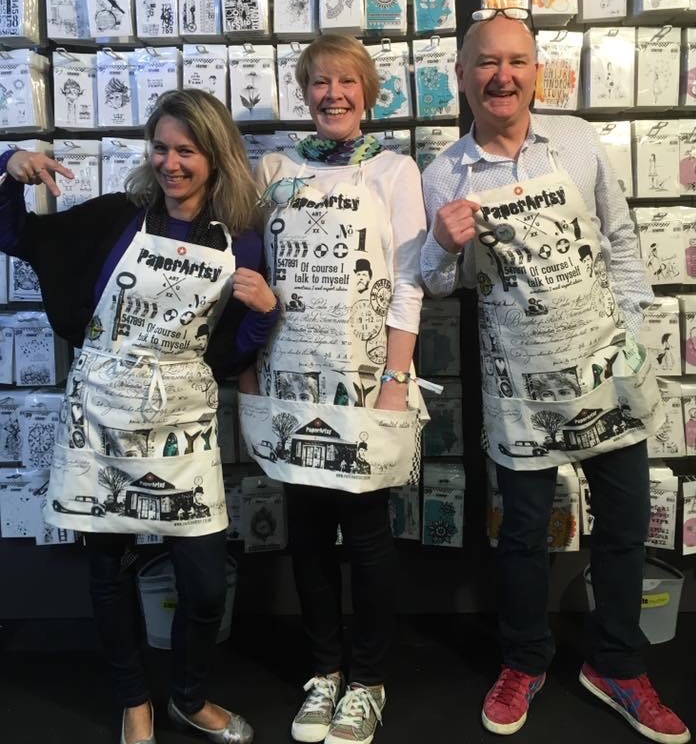 What a brilliant idea, Alison, and brilliantly executed! Amazing spread, love the colors and golden shine- and your promt cards are lovely, and a great idea. Such a fabulous idea Alison and great use of those wonderful colours! Great work, fab idea ! 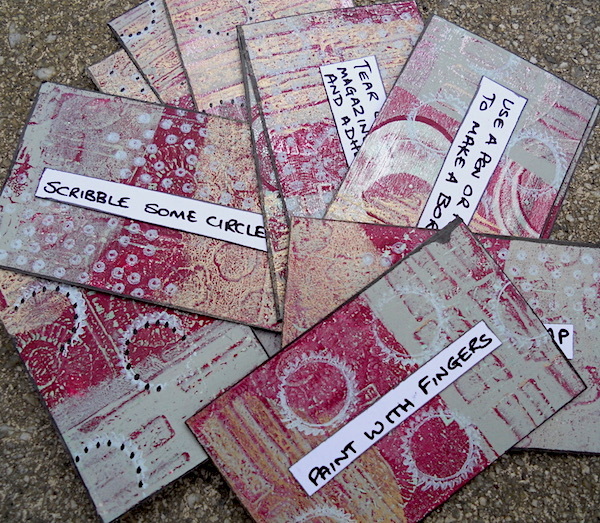 I love the idea of Art prompt cards even better when hand made. Fab creations Alison. Both the cards and the art journal spread are wonderful!!!! Alison, I'm crazy over these beautiful results! Awesome inspiration! Love these Ali. What a great idea. Super tutorial. Inspiring as always.